Aric Almirola started Stage 1 in the 40thposition at Talladega Superspeedway and ended it in the 23rd spot. By lap four, Almirola had already gained 15 spots on the 40-car field. In an 11-lap sprint to the finish of Stage 1, Almirola ended up 23rdin his Ford Fusion. Before the start of Stage 2, Almirola visited pit road for four tires, fuel and adjustments. He started the second stage in the 22nd position and ended the stage in 20th. Early in the stage on lap 67 Almirola made a scheduled green-flag pit stop from 26thalong with most of the field for fuel only. On lap 73 the second caution of the race came out, and Almirola once again visited pit road for fuel, four tires and adjustments to help with his loose-handling condition. He restarted 15thon lap 78 and continued to jockey for positions in the top-20, ultimately finishing Stage 2 in 20th. During the caution period for the final stage break, Almirola visited pit road for fuel, four tires and adjustments, and restarted 17thon lap 116. On lap 142 Almirola reached the seventh position and pitted for fuel only on lap 145. On lap 147 the 34-year-old reached the third position in the Smithfield Ford and reached the second spot on lap 154. Almirola survived two cautions later in the race, including an accident that took out seven racecars on lap 166. He restarted from the eighth position on lap 171 and ultimately ended up seventh. This was Almirola’s fourth top-10 of 2018. 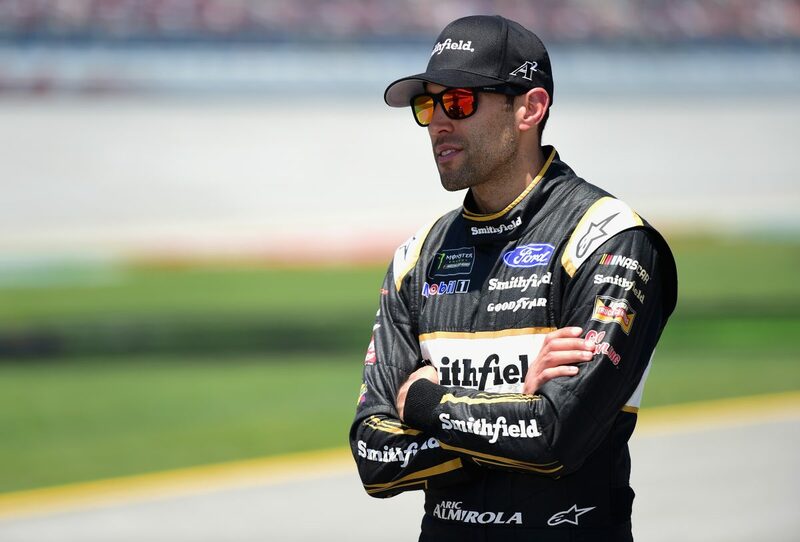 Almirola earned his fifth top-10 in 17 career Cup Series starts at Talladega. Joey Logano won the GEICO 500 to score his 19thcareer Cup Series victory, his first of the season and his third at Talladega. His margin of victory over second-place Kurt Busch was .127 of a second. The next event on the Monster Energy NASCAR Cup Series schedule is the AAA 400 Drive for Autism on Sunday, May 6 at Dover (Del.) International Speedway. The race starts at 2 p.m. EDT with live coverage provided by FS1 beginning with a prerace show at 12:30 p.m.